The main shopping street in Copenhagen is pedestrianised and runs east to west. This means in the evening sunbeams will stream through the thoroughfare throwing long shadows in its path. It is brilliant. I spent about an hour walking up and down Strøget shooting with the iPhone and the heavy Nikon. The iPhone was so much more fun, so much easier to get in close. From this hour, I was lucky to get a series of images that I like. For those who have never been to Copenhagen, I thoroughly recommend it. Ya, it is a little expensive, but what European capital isn’t? Get there, get a bike and you can get to see the city with ease. The locals are friendly and speak excellent English. 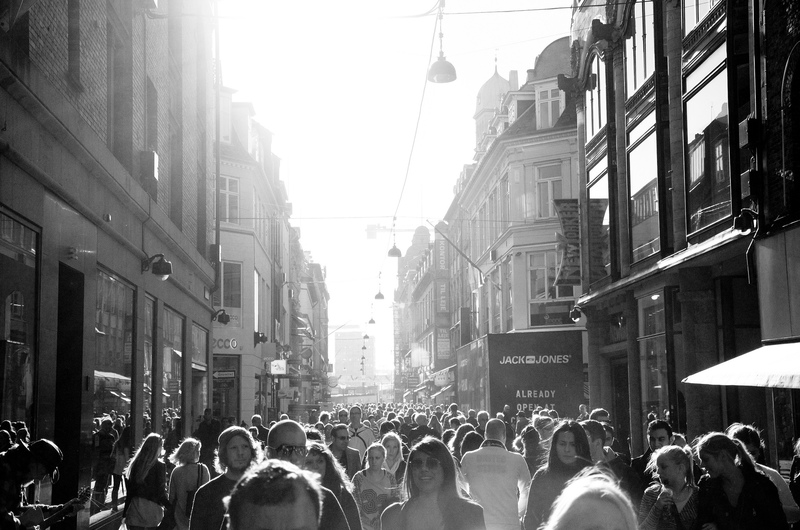 In this image, you can see the throngs of shoppers out on a sunny afternoon in early October. The iPhone image is taken against the sun and gives a great sunflare. 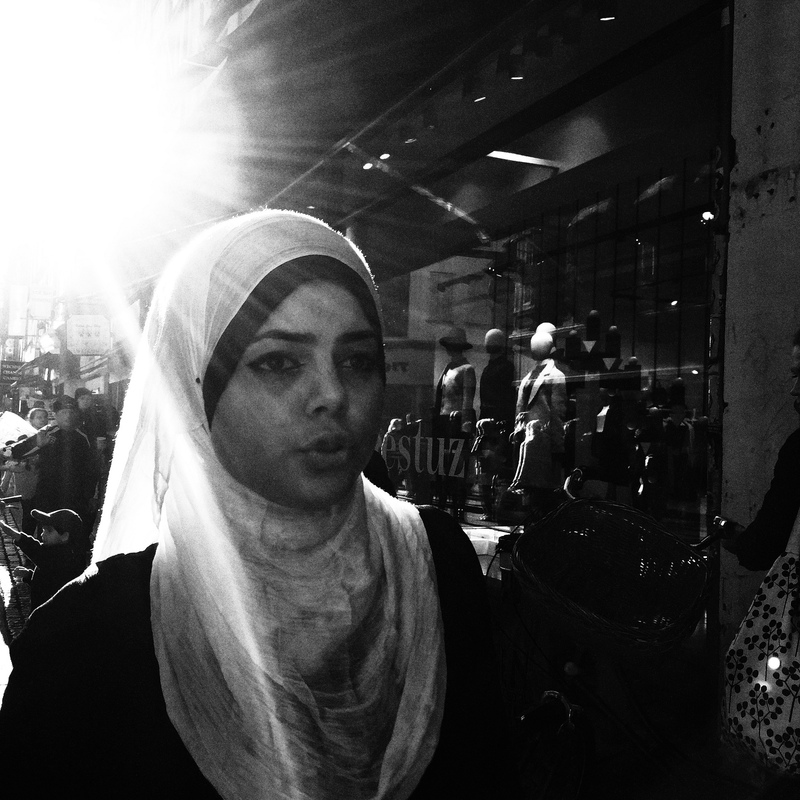 This entry was posted in Daily posts to Flickr, iPhone, photograph posts, Street Photography and tagged art, black and white photography, Brendan Ó Sé, Candid photography, contra luz, Copenhagen, Copenhagen Street Photography, iPhone, iphoneography, Muslim girl, street photography, Stroget, sunlight, travel.